For Jacob, college has been an experience of continuous learning. 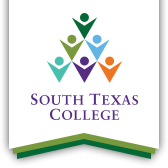 A graduate from Sharyland High School and a recent dual enrollment student at South Texas College, Jacob says he continues to strive for success. Jacob says this summer is his chance to get ahead academically. With parental support and encouragement, he is taking advantage of summer courses here at STC. Jacob expects to graduate with his bachelor in business marketing in fall 2020. Afterwards, his mind is set on Texas A&M for his masters.